In the entrepreneurial world, you often hear people talking about the “democratizing” effect of a new technology. YouTube gave anyone the power to have her own TV channel; sites such as eBay and Etsy make it possible for anyone to become a merchant with global reach. 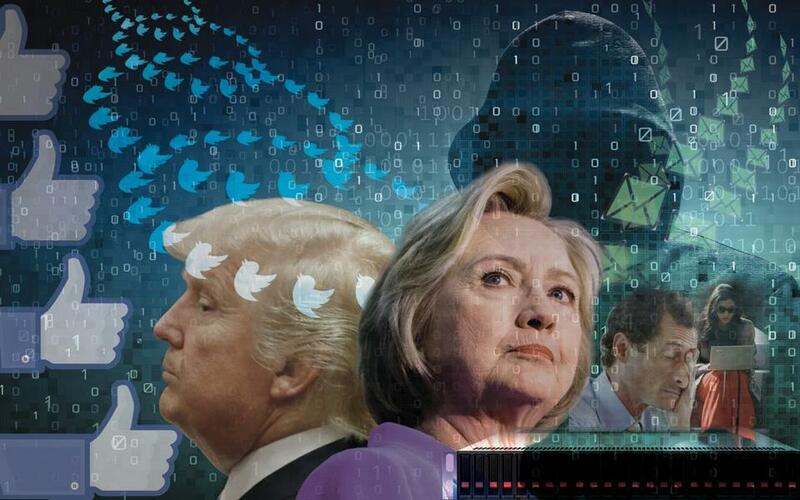 But as this election cycle lurches toward its conclusion, it’s not possible to overstate the part that communications technology has played in this presidential race, from fake news trending on Facebook to the often abusive agora of Twitter to hacking by foreign actors of e-mails. “Running for office is already an incredible intrusion on your personal life,” says James Chisholm, principal of Chisholm Consulting, a public affairs firm in Boston. “I think you could see fewer candidates and less diversity” as a result of all the involuntarily disclosed material we’ve seen in 2016. One possible upside Chisholm sees, though, is campaigns and political committees spending more on cybersecurity — which could benefit Boston companies in that sector. Yes, the Internet gives you the ability to dig into data and watch videos about a candidate or ballot question. But, Mermell says, “We’ve hit a new level of speed. Think about how quickly the ‘Access Hollywood’ video with Trump’s comments about women went around the world. In politics, we used to feel we had to respond to something that day, but it’s now a minute-by-minute thing.” Following the scandal-du-jour as a voter, or responding to it as a candidate, pulls focus from actual issues. (Yet generating clicks and video views is what media organizations need to do to stay alive.) Is that a phenomenon of this specific presidential campaign, and these two candidates, or is it with us to stay? While it’s easy to “like” a candidate or cause on Facebook or Twitter, hopping on a digital bandwagon probably doesn’t do much to affect the outcome of elections, observes Carl Nilsson, president of Field First, a Boston consulting firm that works with clients on grass-roots outreach. He predicts that person-to-person conversations, at local meetings or on people’s doorsteps, will increase in importance. Kendall Hope Tucker, chief executive of Polis, a Boston startup that helps candidates coordinate door-to-door canvassers, observes that with online advertising, it’s increasingly possible to use data to “target people based on demographics or the issues they care about,” far better than any TV or radio ad ever could. But Tucker worries that it might go too far and “get creepy.” Will software be able to predict how you’re going to vote and try to sway you with just the right images and words, from a spokesperson who is a teacher/fireman/lawyer just like you, in an ad that plays before a YouTube video? One of the most powerful features of the Internet and mobile technologies is the ability to organize online communities — and also bring people together for real-world gatherings. Anderson, who identifies as a Libertarian, wonders whether this will lead to the formation of new parties or increased support for existing ones. “In an election where it seemed like there was a desperate desire to find alternatives, I’m surprised we didn’t see more of an impact from third parties,” he says, specifically mentioning the failure of any third-party candidate to get enough support to participate in the televised presidential debates. A report published in May by the Pew Research Center and the Knight Foundation found that more than 40 percent of Americans get their news, at least in part, from Facebook. (Mobile apps such as Snapchat also have a screen that presents the latest stories.) Yet Facebook executives insist on describing it as a technology company, not a media company. This election cycle, there have been important issues around Facebook’s human news curators suppressing right-leaning news stories, and then Facebook’s algorithms — its software for sifting through the trending items it displays — allowing fake news stories through, such as one that asserted that Fox News host Megyn Kelly had been fired. Do apps that effectively serve as people’s “front page” have a responsibility to try to verify that they’re presenting accurate information? And what are the implications if you only see news that confirms, rather than challenges, your political positions? Rospars makes the point that technology has played a “substantial and meaningful” role in the last few election cycles, both in terms of helping candidates raise money from individual donors and getting voters registered and engaged. As we move past Tuesday, I’d love to see technology elevating the conversation we have about the country’s future — instead of eroding it.